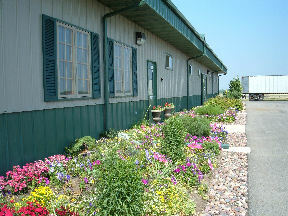 Kendall Road Equine Hospital services the Midwest as a full service facility. The hospital and its doctors are available to all horse owners for routine and advanced medical, surgical and diagnostic procedures. We provide 24 hour service for both medical and surgical emergencies and around the clock care for hospitalized patients. 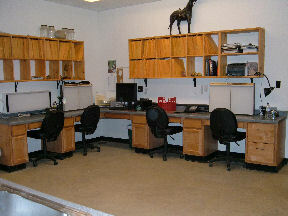 We also work closely with area veterinarians as a referral resource to them and their clients. With over 60 years of combined experience we are here to be an asset to the horse owning public by providing services and support directly to the patient or indirectly through referring veterinarians. 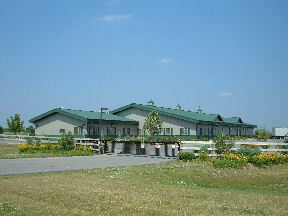 Kendall Road Equine Hospital opened January 2004. The beautifully landscaped grounds sit at the front of 50 acres of hay fields and are surrounded by a fence with an automatic security gate. For outpatient exams the hospital features three exam rooms and an x-ray viewing & consultation area. An indoor trotting aisle allows for lameness evaluation even in inclement weather. 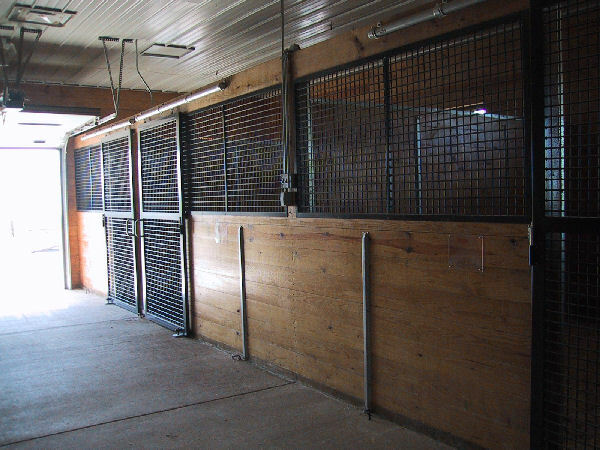 A large blacktop area provides a consistent even surface for lameness and prepurchase exams and a round pen and small pasture are available for evaluation of horses under saddle or while being lounged. The clean hospital environment is optimal for joint and other treatments. There is a complete surgery suite with surgery table, gas anesthesia, central oxygen supply, EKG, blood pressure monitoring, induction stall and padded recovery room. It is equipped to handle surgical procedures ranging from arthroscopic surgery to abdominal colic surgery. The barn contains 22 rubber mat stalls including 4 intensive care stalls located convenient to the pharmacy for easy monitoring of ill patients. There is also radiant floor heat, central fly spray system and exhaust ventilation to optimize the inside environment during all conditions.